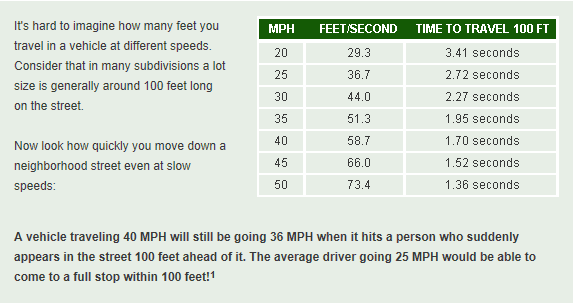 Speeding in residential areas and neighborhoods is the most common citizen complaint issued to police departments and city council representatives throughout the United States and is a danger to pedestrians, bicyclists and especially to children.The fatality rate in residential zones due to car accidents is nearly 3 times the rate on highways. The Community Associations Institute estimates that over 25 million American homes are governed by Homeowner Associations (HOAs), which work to protect home values and contribute to the overall quality of life in their neighborhoods. 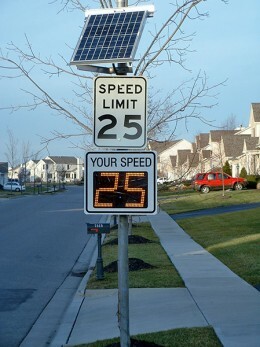 If speeding drivers is a concern in your neighborhood, Radarsign’s systems provide an effective, neighborhood traffic calming solution because the radar speed sign alerts drivers of their speed. 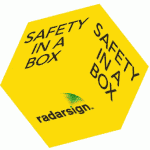 Safety in a Box, an all inclusive sign package, is a great neighborhood traffic calming solution. It’s easy to order, requires no configuration and has everything needed for installation except the shovel and the concrete. All that is required is digging a hole, pouring the concrete, and installing the sign. It’s that easy.